Publisher’s Description: Balisarius is a quantum man, created to serve, made for a world that requires every moment to be monitored. He flees—his creators, his supposed place in the world, his purpose—to curve out a normal life. Now, he is the world’s most infamous con-man. 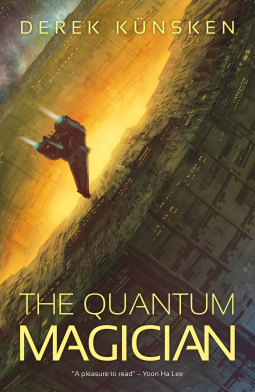 When a client offers him untold wealth to move a squadron of warships across an enemy wormhole, Belisarius must embrace his true nature to pull of the job. Review: It has been a long time that I have been this excited for the evening to come in order ply the pages of a scifi novel. Wow, was this good. The ideas presented follow the author’s understanding of physics and what might become in the near future. This cognitive resonance interacts with characters that are set in a wondrous universe of the weird. And I mean fukin’ weird, as in a genetically designed race of beings called the Puppets (Homo pupa). No way am I giving this one away, just read it and shudder along with the rest of us. Creepy doesn’t even begin to describe these freaks. The Homo eridanus in the form of Stills was so funny I almost pooped my pants. Wrap all this strangeness and hilarity around a cogent and well thought out story line and you have novel gold. So much of this novel could be spun off to create a varied and entertaining universe. You could have a whole series on just the Puppets but you would probably throw up. The Eridanus with their in your face belittling via curses and put downs would be very entertaining. The Homo quantus will need to continue it’s expansion in other novels, as we have not quite reached a culmination of self-discovery. This author has a great future so get on board early. 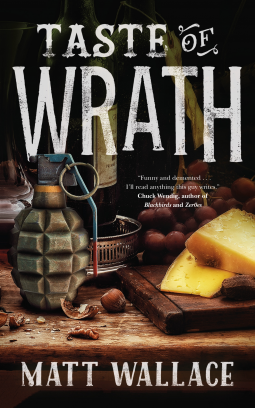 Publisher’s Description: Bronko and his team of crack chefs and kitchen staff have been serving the New York supernatural community for decades. But all that could be about to change. The entity formerly known as Allensworth has been manipulating Bronko and his team from Day One, and the gang at Sin du Jour have had enough. Old debts are called in, and an alliance is formed with the unlikeliest of comrades. Some will die. Some will descend. And some will rise. Review: To be honest I have only read one novel (plus this one) in the series and was not a big fan. Why? The extent of serialization that I will tolerate is a really good trilogy and even that is stretching it. Serialization meanders along the same story line with inserted characters providing levity or interest in the reader. This is overlaid upon the core characters like a wet blanket, only the blanket was interesting. In a review I did of “Prides Spell”, I was alarmed to read that a reviewer, whom I respect and could adore, rated it 4 stars. It was almost like finding your High school girlfriend making out with your best friend. But, betrayal is always and only, in the mind of the accuser. Although that respect is tarnished but not diminished, I thought I might use it to ferret out her logic and come to a different conclusion. But alas, I defaulted to my own opinion, and at the end of the day, don’t really give a shjt. So cheers to Carol for having a different perspective and me to self-banished inversion. This novel just did not capture my attention so although I did not finish it, that in no way means it is crap. The writer is accomplished and the characters mildly interesting. The story line (to me) was boring as were the character exchanges. The world building is finite and lacks the expansiveness needed when dealing with “things” from different realms. So roll them dice, you may like it…..or not. 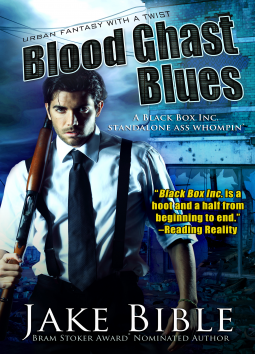 Publisher’s Description: Chase Lawter and his crack team—an omnisexual yeti, an ex-Fae assassin, and a business savvy zombie—are tasked with transporting the One Guy to Washington, D. C. where the Department of Extradimensional Affairs will put the crime lord into protective custody. That is, if Chase and Black Box Inc. can evade blood ghasts, dimentionalist rednecks, vengeance-seeking kobolds, and whatever other enemies are in hot pursuit of the One Guy. Review: Early into this ARC, the reviews are quite favorable. Most credit the high entertainment value to those stellar reviews, and I couldn’t agree more. The movement is of the “splat” variety and seeks to outdo itself from scene to scene, ramping up the gore in the process. The interactions and descriptions of other dimensional beings was highly creative and inventive when put in practice. “So why you no give 5 stars!!?”. Derailing this express train of viscera was the author’s infusion of political and racist digs. Not that I am a fan of either side of the political spectrum, I just think it reduces the story line to the pointedly mundane. So rednecks are bad, and because they are rednecks they are generally racist? And the stupid meter for G. Bush is measured against other presidents that were smarter? And all white cops in the deep south are racist by design and breeding, especially when they see dark skin? I find that the people with the most biased and deranged opinions to be those that have never lived it. Trust me, I have lived it and this writer knows absolutely jack shjt in that specific arena. That said, I still had a great time reading this and look forward to the next in this series as the ending hints at more fun. Hopefully the author keeps his stupid political opinions to himself as it has no place in fantasy land. 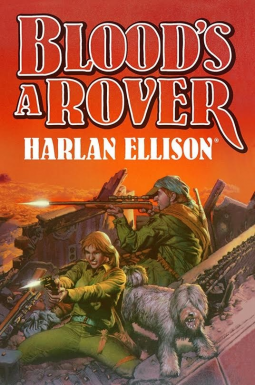 Publisher’s Description: Harlan Ellison and his editor, Jason Davis, have painstakingly assembled the whole story of Vic and Blood and Spikefrom the author’s files, using revised-and-expanded versions of the novella and short stories, interstitial material developed for Richard Corben’s graphic adaptation, and—for the first time—never-before-published material from the aborted 1977 NBC television series Blood’s a Rover to tell the complete story of A Boy and His Dog, and a Girl who is tougher than the other two combined. Review: If you remember the movie “A Boy and his Dog”, then this is where it all started. This final compilation integrates all the stories into a cogent whole. The perspectives shift between Blood and Vic and continues to entertain no matter the eyes you are looking through. A spectacular read from a true master of the craft. Publisher’s Description: It’s been 15 years since Michael LeClaire defeated the Devil in a swordfight high above the rooftops of Milan. Since then, he’s been content to lead a quiet life in New Haven with his wife Maggie and their son Gabriel. But Gabriel is no ordinary teen. When he saves a bus full of passengers in Aachen from a terrorist attack, he draws the attention of both sides in a new Crusade for the soul of Europe. Does he have what it takes to face down the Prince of Darkness? 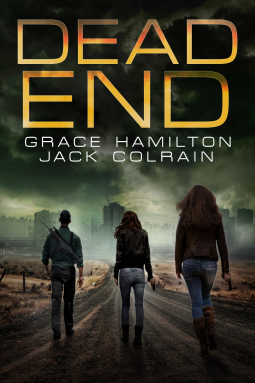 Review: This novel has some good moments but was plagued with a few issues. One of the first things that jumped out at me was the lack of story line consistency. Mostly, you are expected to be on board when the story shifts into “not believable” mode. For instance the whole idea that your family goes on a trip to Europe , meet a bunch of Angels whom collectively decide to overthrow every European state leadership and successfully complete this task in a week or so, is……..ridonkulous. Add to this: sending your 14 year old son and his two buddies to kill Satan, and you have a recipe for boredom. The other issue, just touched on, was the characterization. Micheal, Gabriel, Maggie and Vanessa are just too perfect. Take for instance Micheal and Maggie. They come off smug and all knowing which is a testament to the author’s lack of voice in the characters. They are flat and patterned after most of the novels you read in the romance genre. There is nothing interesting about them. The same holds true for their son, Gabriel, who at 14 years old is almost 7 feet tall, a sword master that gets perfect grades in school, subdues jihadists and saves drowning little girls in his spare time. Vanessa is uber smart with a photographic memory and Satan is portrayed as Super Evil-y with definite issues where self-control is concerned. You would expect a super natural being to be highly intelligent and instilled with a sense of subtlety. What you get is a bombast with bulging eyes and a domineering persona. So as we wend our way through the story I found that the political observations were spot on and that the plausible outcomes, for Europe in particular, are getting pretty close to reality. The author does a good job relating the inherent fallacies that reside within the progressive movement by calling to attention the trampling of opinion, especially if it does not align with their agenda. This may be a call to arms where free speech is concerned and is of relevant concern where religious zealotry is embraced in lieu of common sense. So, while the author’s voice was lost in some areas, namely the story line and characterization, her religious/politico voice was loudly heard. I laud the author’s courage to laugh at being politically correct but am still disappointed that there was a creative slide into the patterned. 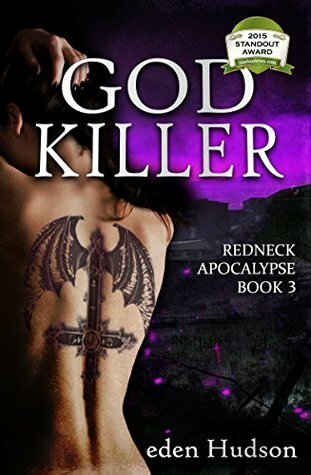 Publisher’s Description: The disturbing final chapter in the award-winning Redneck Apocalypse series. The last battle for Earth is here. Rivers of blood are going to flow. Anyone who doesn’t die in the first hemorrhage is going to wish they had. 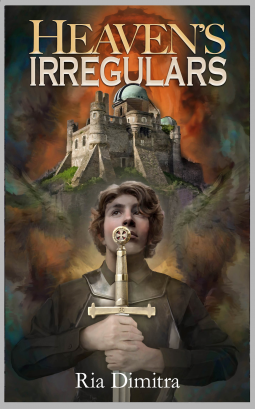 Review: Well here we are, sadly, at the end of an awesome fantasy series. Archetypal battles between the patently evil, the inherently flawed supernatural and the redemptive. The Good, the Bad and the Ugly? Yeah….could have used a dash of Tuco but I aint complainin’. Typically battles between good and evil are not my thing, mainly because the final battle dumbs down a lot of what made the series great in the first place. It relegates characterization (development) to the back burner and embraces the patterned “Final Conflict” we see so often in movies and various novel genres. This series sort of demanded the ending that it had as there was nothing subtle about the approach. There was only one technical boo-boo where Willow has a .45 semi-automatic with a laser site attached to the barrel. On a semi-auto pistol the laser is attached to the frame. What I like about the series most were the bible passages intertwined with the story line to lend relevance to the conflict. It also gets me thinking about what is really important. I burned through this box set that the author so kindly sent me and I thank her for her generosity and ultimately, her creativity.